Hey everyone!! I am getting asked quite a few questions about the Design Team search!!! I figured it might be easier to post the most frequently asked questions up, along with the answers!!.... Not that i don't love emailing each one of you! :) So... here goes!! If you still have questions after this, then let me know, and i will do my best to post questions as they arise! Q. How many projects do you want submitted?........A. Please submit 3 of your best layouts as well as 1 miscellaneous project of your choice. This could be another layout, a home decor item, a set of cards or tags, an altered item, or anything creative you would like to share! Q. When can i send in my application?!.......A. We ask that you wait to send in your applications until Monday August 4th. We will be accepting applications until Sunday August 10th at midnight. Hopefully these few Q's and A's will help!! If you receive our newsletter, then you may already know that we are opening up 5 positions to join our talented team! 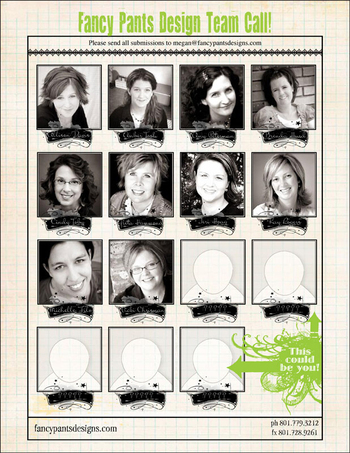 Below you can see the designers that have been "behind the scenes" of the Fancy Pants booth displays and sharing their designs online! It has taken us a while to get on track, but we're finally there and would love to see your work! So, without further delay, we are very happy to show off our talented designers and invite YOU to submit your work to join our team! Domestic and International submissions will be accepted! Our designers receive some great products to work with throughout the year...we ask for your support by creating at least 3 projects per month that use nearly 100% FPD products as well as extra designs for display at trade shows. You will have plenty of product remaining for other designs of your choice! We offer a publication compensation plan for the members of our team, a fun design experience and GREAT products ;)!! More details will be provided if you are chosen, but those are the basic expectations...if you have further questions, please feel free to email megan@fancypantsdesigns.com ... The preferred method for submission is via email...send hig-res images of your projects. If you can't submit your images via email, we suggest color copies can be sent directly to our offices...please don't send actual projects as we can't guarantee their return! 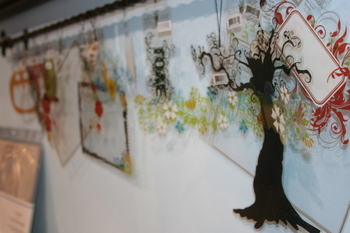 CHA Summer Show Photos and More! We just returned from the CHA Summer show and thought we'd take some time to share pictures of the booth and the latest releases! 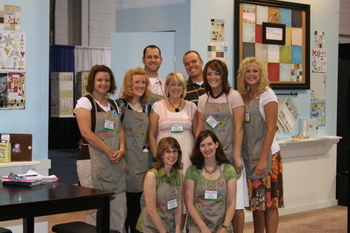 You can also view our latest newsletter (link here: Fancy Pants Summer Sneak Peeks '08) to see even more of what is happening at Fancy Pants Designs! We always have fun together...laughing, playing and working hard (?) :)!! Here are some close-ups of new products to be hitting your LSS in the next month or so! The Happy Holidays collection by jackie was a big hit!! 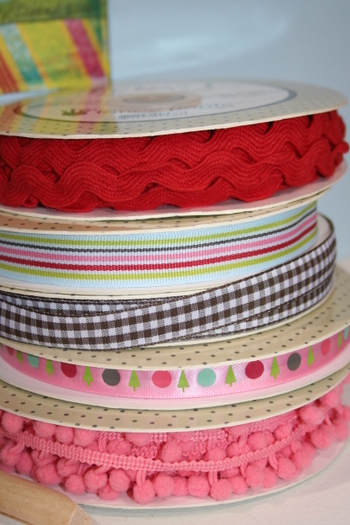 Just look at those yummy ribbons...5 for each line!! The All Fall collection by nancie!!! Perfect for fall, school, boys, girls...and everything else!!! 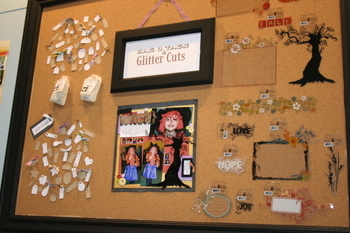 Glitter Cuts and Bag o Tags. Everyone LOVED the new glitter cuts designed my michelle...especially the funky tree, jack-o-lantern and owl..
and the Bag o Tags were a big hit...in cute muslin bag, you get 80 tags of all sorts of shapes and sizes...40 different tag shapes in two colors-white and kraft...an awesome mini addition to every project! 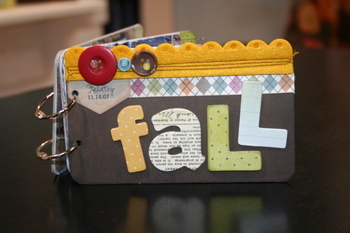 The Daily Grind...this collection incorporates, late summer, early fall, school, office supplies and much much more!! That should be enough to glance at...I'll be back to post more info (if you haven't seen it already) on our DT open spots and submission call! "I decided to create one of my childhood favorites...a diorama! I loved crafts as a child and so do my own children, and what is great about this project is that you could do this with your child, or your child could create one of these while you scrapbook! I chose a sailboat theme for my diorama, but Fancy Pants has so many great felt and chipboard shapes that you could create one with a house, child flying a kite, dinosaurs, a monkey in a tree...there are so many great possibilities! 1. Start with a box lid. I used a lid from one of Fancy Pants boxed mini album sets, but any box lid would work. Cut your background paper to fit inside the bottom of the lid and stick to lid. 2. 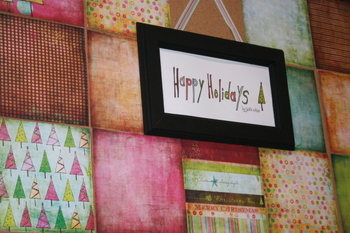 Use chipboard swirls as a guide to cut patterned paper. Attach this paper to lid with foam adhesive to give it some depth. Paint chipboard swirls. Let dry. Sand edges lightly. Attach to paper in box. I used foam adhesive on the larger wave to add more depth. 3. 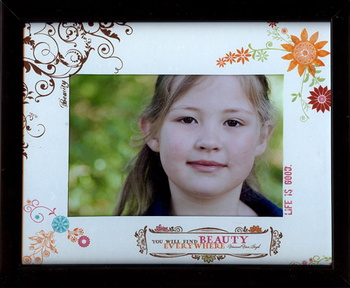 Use excess felt around scallop frame in Sassy felt set. Cut to width of box. Use this felt piece to trace shape onto light blue paper. Cut out this waves shape. Add to lid with foam adhesive. Add felt on top of that with foam adhesive. 4. Add machine or hand stitching to felt shapes...or leave as is. Add small brad or button to fish for eye. 5. 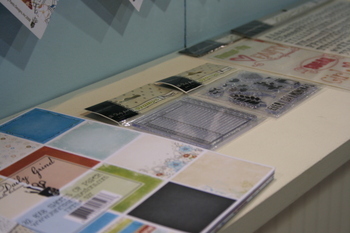 Cover chipboard clouds with grid patterned paper. Ink edges. 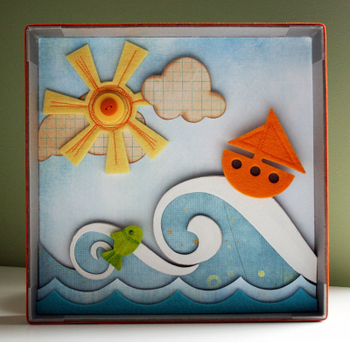 Add clouds, sun, sailboat and fish to diorama. Add buttons to the sun. Be sure to use varying levels of foam adhesive for depth and interest. 6. Finally, cut strips of orange paper and add to outside of box. Add ribbon. Your diorama is complete!" I hope everyone had a fabulous 4th!!! It's hard to get back in the groove of things after a nice long weekend!!! This next project will give you something to look forward to creating!! It's simplicity makes it so cute and easy!!!! 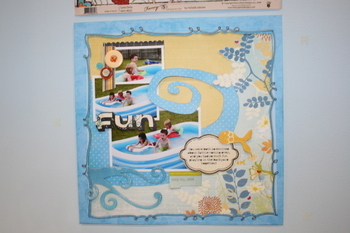 Todays project was created by Kay Rogers!! because they are so classic and yet so affordable! them to the photo mat. Voila, instant artwork!" Thanks Kay!! What a cute idea!! Thanks for everyone visited our blog and told us of their traditions!! After seeing how many comments there were....i decided to draw 5 names!!! 3 just wasn't enough!!! Congrats!!! Please email megan@fancypantsdesigns.com with your shipping address!! We hope you all have a great Holiday!!! Thanks again! We hope you will keep checkin' in with us!! 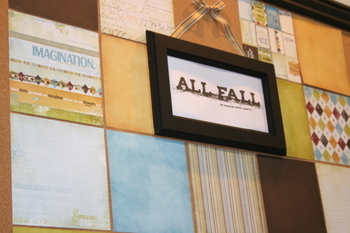 As we are quickly approaching the upcoming CHA Summer show, stay tuned for our always exciting SNEAK PEEKS!! !